Electronic Arts decided to give fans of the Need for Speed series a free-to-play game in the shape of Need For Speed World. Part of the Play4Free label, where everyone can enjoy other quality games such as Battlefield Heroes with its cartoon battles or Battlefield Play4Free, with a more realistic and gritty setting, Need For Speed World successfully blends ideas from Underground and a few episodes that followed. Just as expected from a free game, Need For Speed World is easy to access and play, with low system requirements and good graphics. 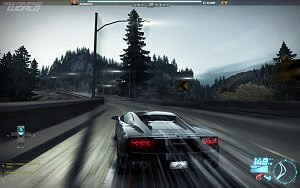 Although it’s free to play, this is a game where players only pay if they want to buy new cars or customize their vehicles, since they can race up to level 50 without spending any cash.